This site is a place of study and rigorous information that responds to the needs of those wishing to learn and understand. This section is devoted to Italian sheep breeds. Mariapia Ciaghi dealt with translations. Sheep farming represents an important reality on the Italian livestock panorama, a reality that is diffused throughout Italy from the green alpine regions to the arid southern and island ones. There are over 50 indigenous Italian sheep breeds. Click on the menu on the left to view illustrated information sheets about particular breeds, including their origin, diffusion, and economic and morphological characteristics. Italian sheep farming has always privileged raising breeds that are particularly well suited to milk production. There are only a few areas where breeding for meat production prevails. It is frequently managed with moves from plains to mountainous areas on trails that have been used and passed down for generations. Sheep breeding for wool production has almost completely disappeared. 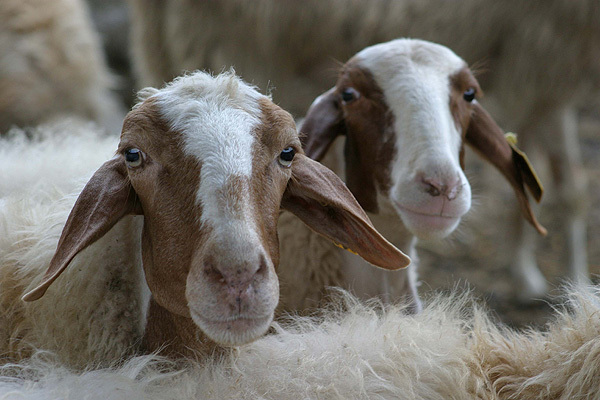 The National Association of Sheep and Goat Breeders carries out activities aimed at improving the form, genetics and function of sheep breeds raised in Italy through the management of National Herd Books. - Sheep breeds for milk: Altamurana, Comisana, Delle Langhe, Leccese, Massese, Pinzirita, Sarda and Valle del Belice. - Sheep breeds for meat: Appenninica, Barbaresca Bergamasca, Biellese Fabrianese and Laticauda. - Merinized sheep breeds: created from original pure breeds including the Gentile di Puglia breed, the Sopravissana and the new Merinized Italian breed. The National Association of Sheep and Goat Breeders directly manages the Population Registries for national sheep breeds which are not highly diffused, providing a tool for protecting and safeguarding them. The sheep breeds included in the registry are: Alpagota, Bagnolese, Brentegana, Brianzola, Brigasca, Brogne, Ciavenasca, Cornella bianca, Corniglio, Di Benevento, Di Corteno, Finarda, Frabosana, Garessina, Garfagnina, Istriana, Lamon, Marrana, Matesina, Nostrana, Plezzana, Pomarancina, Pusturese, Rosset, Saltasassi, Sambucana, Savoiarda, Sciara, Tacola, Trimeticcia di Segezia, Turchessa, Varesina, Vissana, Zerasca.